Experience Ontario fishing at KC's Landing Resort on the famous Indian Lake Chain. 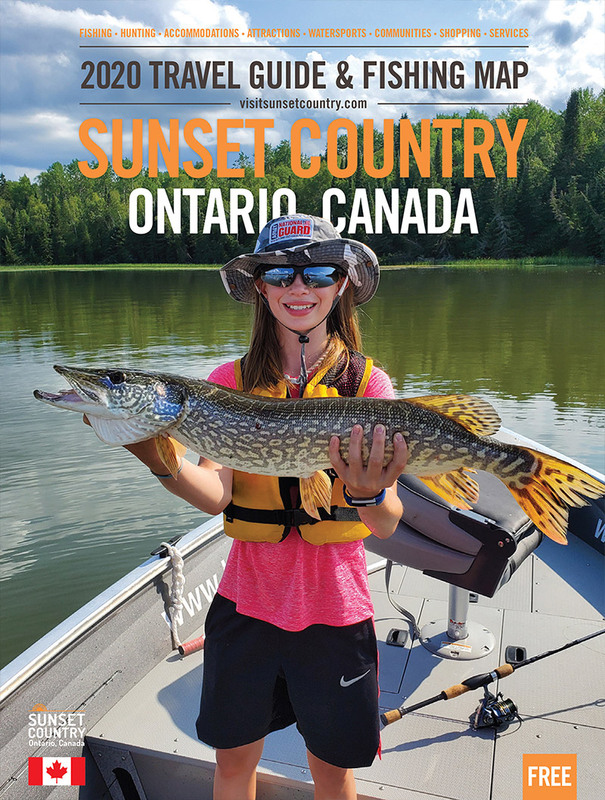 The Indian Lake chain in Northwestern Ontario, Canada is famous for it's plentiful and exciting fishing for walleye, muskie, lake trout and bass. KC's Landing is located on Highway 647, just ten miles north of Vermilion Bay. It is situated on Edward Lake, one of the ten connecting lakes of the famous Indian Lake Chain. We offer all-inclusive housekeeping packages with 17' Lund Outfitters and 50hp Yamaha motors or you can also bring your own boat if you like. Gas, ice and minnows are all included. Some of our cabins are 'deluxe' with satellite TV, air conditioning and dishwashers. KC's Landing has 1000' of sandy beach, lined with palapas and a water park for the kids. Cabin Rentals (Housekeeping): There are seven cabins to choose from at KC's Landing Resort. There are five standard modern cabins and two deluxe modern cabins. Walleye: The Indian Lake Chain is made up of 10 connecting lakes that are all rated excellent for walleye. Northern Pike: There are plenty of weed beds, reefs, rock cliffs and drop-offs perfect for northern pike fishing on the Indian Lake chain. Muskie: Muskie fever seems to peak between mid-July and mid-September. so if you like catching muskie this is the time for you. Lake Trout: The Indian Lake chain is made up of 10 connecting lakes that have an abundance of lake trout. Smallmouth Bass: There are plenty of weed beds, rock cliffs that are loaded with smallmouth bass. Perch: The Indian chain of lakes and it's connecting lakes will get you to some of the best perch fishing out there. Moose: We have a very large hunting area where you can enjoy the excitement of a big game hunt for moose. Deer: We have a very large hunting area where you can enjoy the excitement of a big game hunt for whitetail deer. Black Bear: We have a very large hunting area where you can enjoy the excitement of a big game hunt for black bear. Birds: In the fall we also offer small game hunts for grouse and duck. Try combining fishing and hunting in one season.